Step 1: Login to your xapiapps. 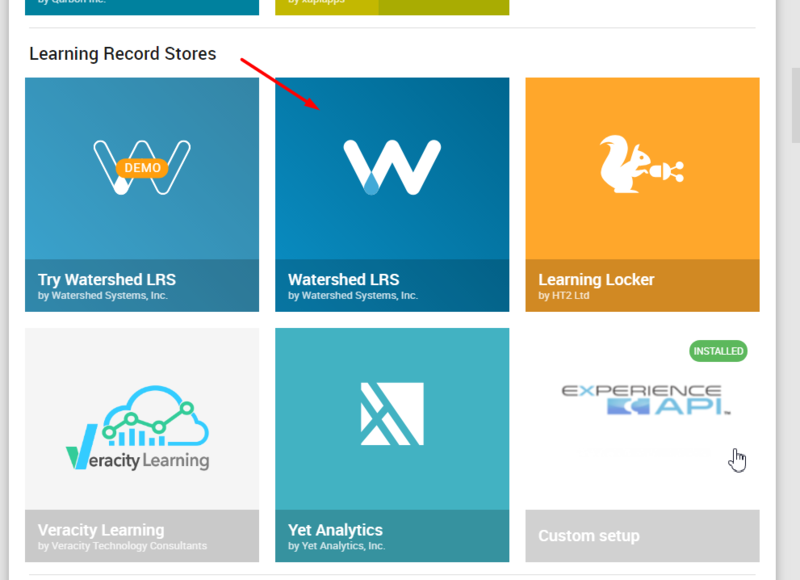 Step 3: Under "Learning Record Store" click the "Watershed LRS" logo. If you don't have a Watershed login, you'll need to contact Watershed LRS. 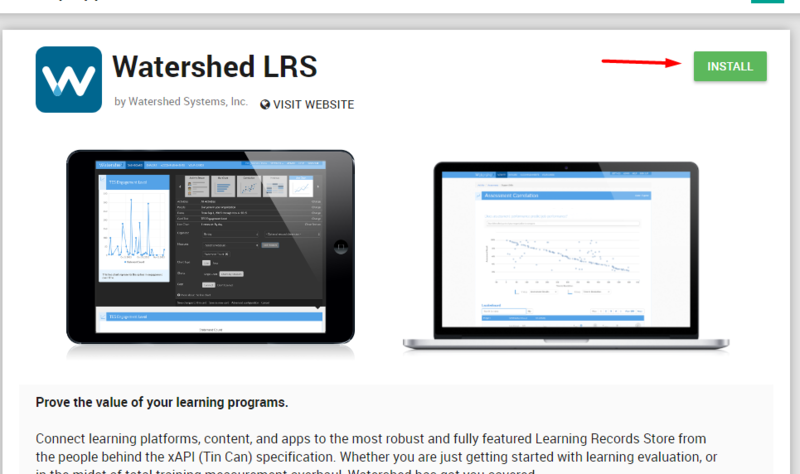 Step 6: In Watershed LRS click on Data (at the top) and then xAPI Data Sources (on the side). The endpoint should be at the top. Make a note of the endpoint. Click the blue Add Activity Provider button. Make a note the key and secret. Step 7: Complete the integration by going back to xapiapps. Step 8: Fill in your Endpoint, your Key and Secret in xapiapps.